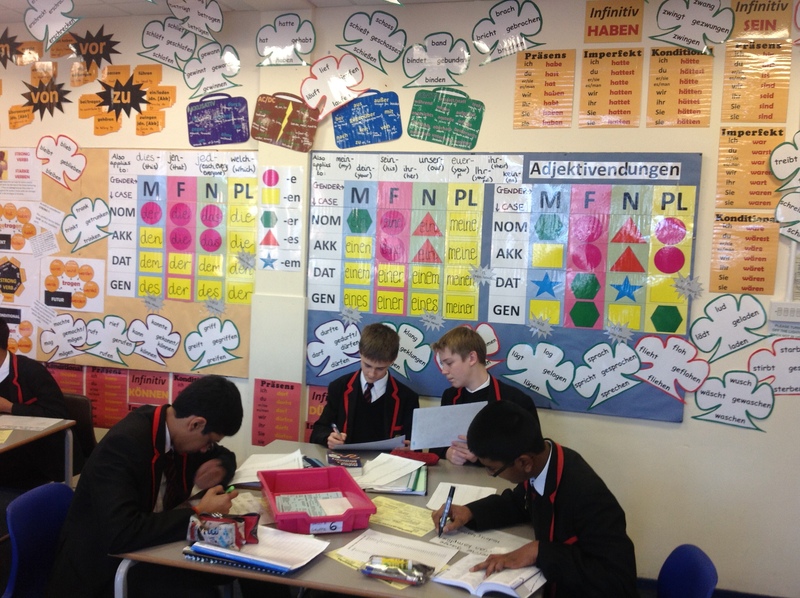 Teaching MFL: Pedagogical approaches that work. The’ Interactive Grammar Hub’ in Herr Steele’s classroom. 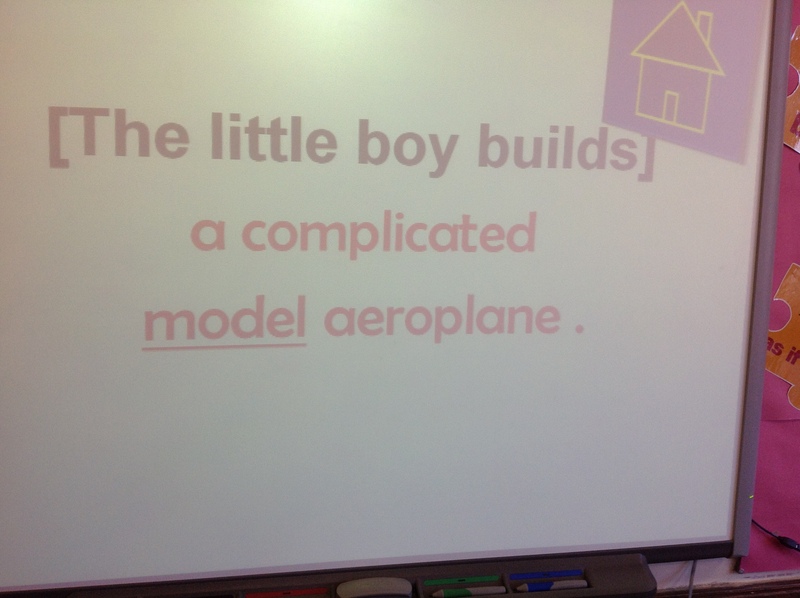 Modern Languages is one of the great strengths of my school. You can read about our intensive KS3 curriculum in this issue of Learning Lessons by AST and Director of Leading Edge, Jane Breen. It describes how we give students four hours a week in one language in Year 7 and 8, leading to GCSE in Year 9, with 70% moving on to AS at KS4 and the remainder taking a second language to GCSE. We firmly believe that giving solid time to MFL is key to developing proper speaking skills and our Y9 cohorts have outstripped all records so far. Here are some more ideas used by the MFL team at KEGS. Some of these originate in other schools – we are not claiming ownership. But putting them all together is the key. Building on the code-breaking / discovery learning stuff we’d done before, I did the James Bond mission lesson with Y7 shortly before Christmas and it seemed to work very well (they produced some excellent responses to a collaborative translation challenge in last week of term, which evidenced good understanding ). 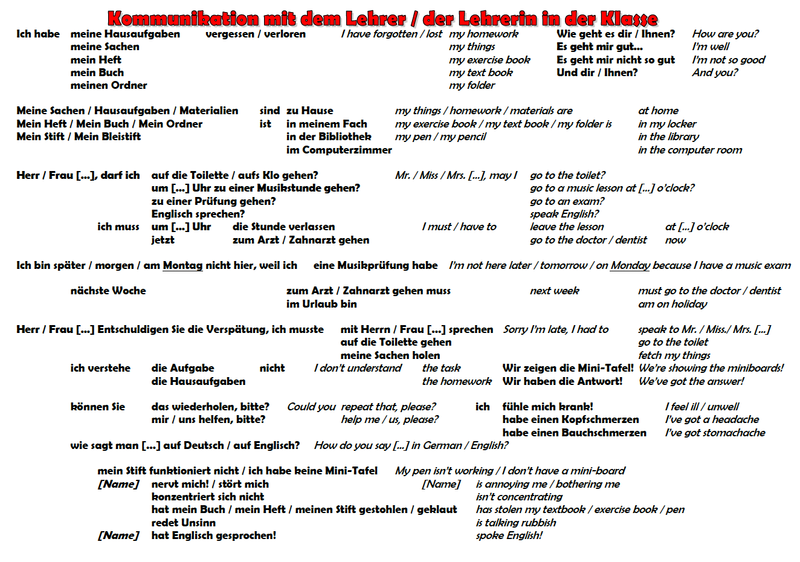 The context of the lesson stems from a story we tell beginner learners about how German verbs work – essentially, that when Germany was unified in 1871 all the verbs came together for a big conference, where they had to decide on a set of rules. The ‘weak’ verbs – not wishing to rock the boat – accepted the rules and just got on with it. The strong verbs (some stronger than others) decided that they would ‘rebel’ in various ways against the rules. So, having already introduced weak verbs, the premise of this lesson was to discover exactly how certain verbs rebel in the present tense. 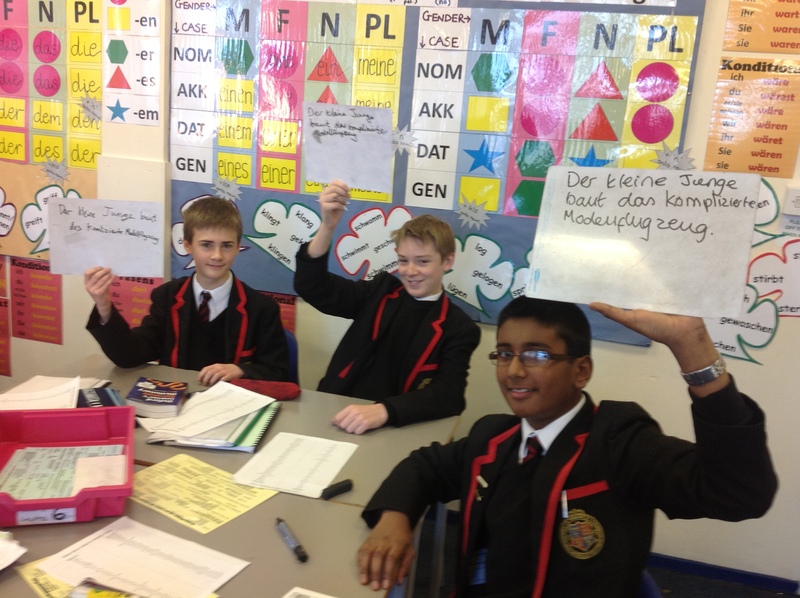 Groupwork (pre-set by ability to optimise or remove support structures as required) with a dictionary (including verb list in the centre), they had to conjugate the 16 verbs and discover that there is a vowel / phonic change in the ‘du and er/sie/es/man’ forms of the verb. The next stage – after I had claimed that these 16 verbs had divulged (after intense interrogation) that there were 8 even stronger verbs to find – was to use the lists again to hunt out the 8 extra-strong verbs and realise that ‘sein’ (to be) is the strongest and most rebellious of all verbs. Quite dry and dusty stuff in real terms but the James Bond mission slant made it more fun! 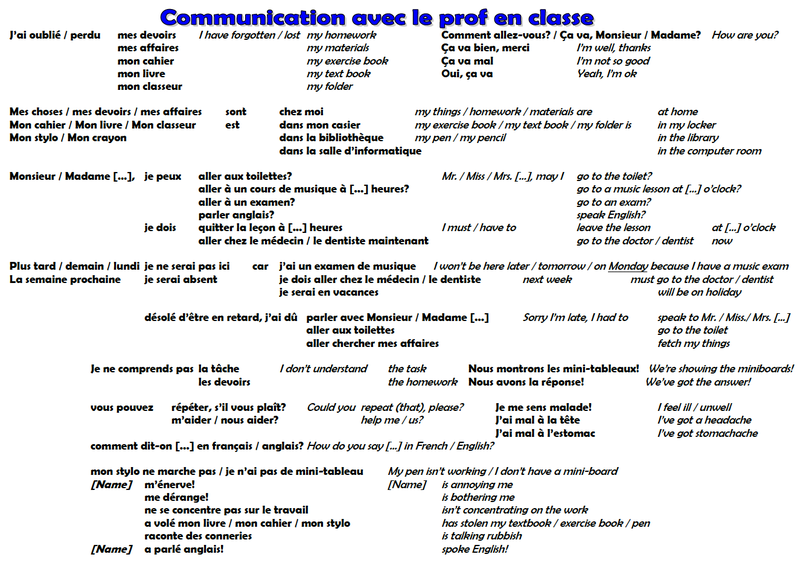 I did a similar thing with Mission Impossible for my Y9 beginner French group last year to discover the perfect tense. Look out for more posts about Pedagogy and the philosophy of teaching languages from KEGS. An inspiring team of teachers. Your grammar hub is amazing! I would like know if you could post some more pictures of it and if your have made the wall creating your own materials or if you used a commercial products. Thanks and keep up the great work!